Although a familiar and accepted modern trend, tattoos have not always been as positively received as they are today. Tribally used to denote stature and honor, tattoos were a major part of the indigent peoples of Africa, South America and the Caribbean lending a sense of the mystical to the art. The West translated this mysticism to see tattoo as taboo. It stayed that way through the turn of the century. In the late 19th century, women in the circus profited from the oddity of tattoo. 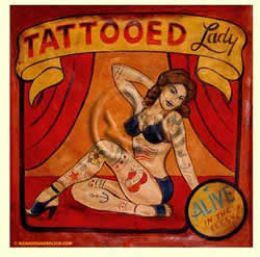 Trying to avoid the hard work and peril of acrobatic and high-wire acts, circus women created the position of “Tattooed Lady”. The oddity and rarity of tattoo became entertaining to see and slowly became an industry. The social perception of tattoos has evolved from negative and odd to positive and beautiful. 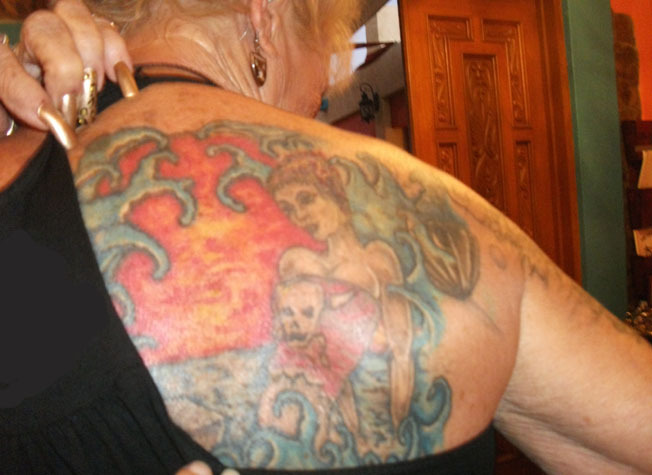 Once a symbol for loose women, tattoos are now considered body art. People get tattoos to remember a loved one or to pay tribute to something they hold dear. Jokingly, I was educated to the “the tramp stamp”–street lingo for the body art tattooed in the lower back above the hips of ladies. Tattoos now express beauty and eroticism. Michael Guadalupe Jordan, ink artist at Baja Ink Tattoo in San Felipe, BC, MX, can create designs to suit any request…no matter how odd. 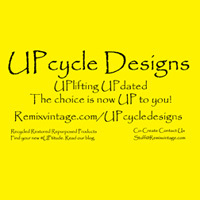 See his work on Facebook.